February 7th - 10th, 2018, months and months of hard work by the organizers, sponsors, host venues, and artists came to fruition with the first ever Mile 0 Fest in Key West, FL with the pomp and circumstance that the event deserved. It was a 4 day Red Dirt island field of dreams, of sorts - If you build it, they will come. And oh my gosh did they come. It was as if the best of the best in Oklahoma and Texas music came together and took over the island. I couldn't go anywhere without either seeing someone I knew, or at the very least see someone adorned with the Mile 0 Fest backpack or wristband. This was by FAR the best vacation I've ever embarked on, and if I seem to come off a little over the top in this article, it's because this festival was exactly that. Over the top. Musicians and fans alike got to enjoy the weather, the music, the camaraderie and the libations. And on every count, the dial was set at 11. 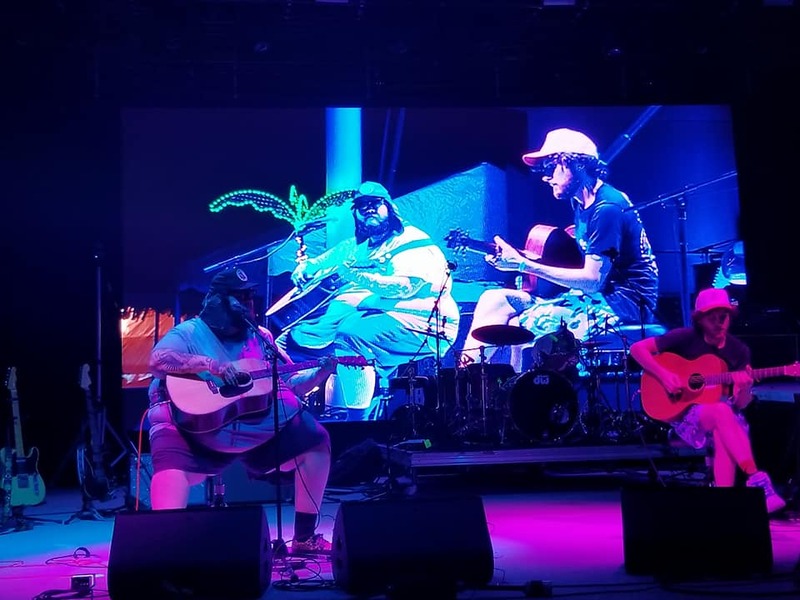 The main stage was set at the newly constructed Truman Amphitheater located right off the western coast of the island, and there were five other venues that hosted some of the most interesting and entertaining solo and collaboration performances. The Smokin' Tuna, Durty Harry's, Irish Kevins, and the San Carlos Theater got a dose of original Oklahoma/Texas Red Dirt that it will not soon forget. Now, I could go down each performance I saw and give highlights to each one, in fact, I could probably write a book about it, but instead I'll narrow to the moments that stood out most for me, and the first was even before the festival actually started. Most artists and fans arrived Tuesday, checked in at the Smokin' Tuna for credentials, and proceeded to start the holiday vacation off right with a drink of choice and the surreal feeling that we're all enjoying each others' company in the land of rum, Buffett, and pirates. As friends continued to show up, I looked around the room at one point in time and noticed that in addition to Ragan (the Mayor of Funtown) and I, there was a who's who of Oklahoma Red Dirt royalty. Cody Canada and his family, Brandon Clark and the Big Rig, Cale and Scotte Lester, Dylan Stewart, Chance Anderson, Jacob Flint, the Red Dirt Rangers and more were all just hanging out having drinks and swapping stories. It was only after the Tuna closed at 2AM that we quickly figured out that a quaint little bar around the corner, coincidentally named Rick's, was open until 4AM and hosted karaoke all night. This is where we ran in to even more of our Okie friends. Even this tone deaf, fake journalist was drawn to the microphone where so many were enjoying the evening. Later that week, Rick's karaoke would even host Jack Ingram and a Charlie Robison crooning a Frank Sinatra song. Again, for lifelong fans, this was truly a special experience. I was fortunate enough to be joined by three friends I went to high school with, Jeff and Melanie Taylor, and Brian Helt whom I've know since kindergarten. The reason I mention them specifically is that they are all HUGE fans of Texas/Oklahoma music, complete with personalized license plates showing off red dirt lyrics. But until now, they had not been able to be this up close and personal with the artists. It was so fulfilling for me to watch my long time friends with wide eyes and slack jaws as they got to meet the likes of Mike McClure, Red Dirt Rangers, Jason Boland, Stoney LaRue, the Turnpike Troubadours, Scotte Lester, Wade Bowen, Jamie Lin Wilson and many more. This festival was so very laid back and the artists were accessible to the fans. We all mixed together as if we'd all come there together, or were all riding in the same car. The only missing element noticeable was the absence of Brandon Jenkins, who just days before was checked in to the hospital with heart problems. After learning that he will have to undergo open heart surgery and would not be able to attend the festival, Mike McClure volunteered to play his afternoon set on Wednesday at the Smokin' Tuna. Later that week John Goolsby coordinated a fundraiser during Jenkins slot at Irish Kevin's Saturday night. John's house band consisted of Brad Rice of the Stragglers on drums, Dustin Shaefer of the Black Lillies on lead, and the best clutch musician around, Taylor Reed of the Mike McClure Band and Suede Panther on bass. 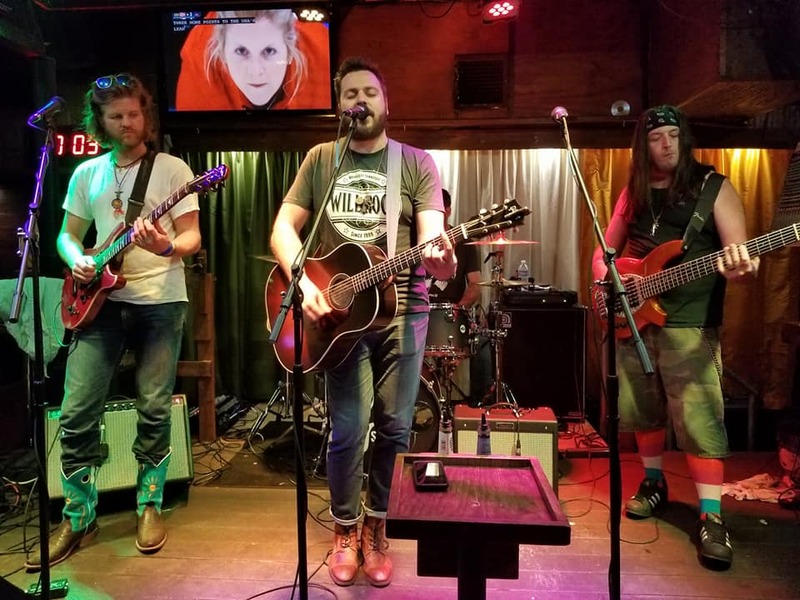 They were joined by a host of musicians through the set playing originals, covers and Jenkins tunes in order to raise money for the Red Dirt legend. Highlights for me, personally, were Jason Boland playing at Irish Kevin's to a packed audience that knew every word he sang, and sang along. Onlookers waited outside as the venue was understandably full and would only admit people on a 'one out-one in' basis. Cody Canada and the departed sounded as good as I've heard them, and even entertained the die hard fans with songs from their whole catalog, including Jeremy Plato singing one off of his Departed album. And finally, the one that I was most excited to see, the Great Divide played a balls-out set, and even serenaded the Canadas with Pour Me A Vacation. It was one helluva show! Of course there was way too much unbelievable music to mention, but were I to go on, I'd have to say that John Goolsby, Blake Lankford and Raina Cobb's performance at the San Carlos theater was solid gold. BC and The Big Rig is the best "Shred Dirt" band you will ever hear live. Shinyribs melted faces at Durty Harry's, Kaitlin Butts did A Gal Like Me on request, Uncle Lucious was amazing as always and Jason Boland at "The Farm Revisited" with Randy Crouch was truly a once in a lifetime performance. For this writer's money, it could not have been any better. I'm still riding a high from the beautiful island of Key West and the Mile 0 Fest, and I think I can keep that high alive for another month or so until the annual Bob Childers Gypsy Cafe converges on Stillwater in May. And once again, dear reader, if you are a music fan of any age, race, or socio-economical background, you owe it to yourself to make a bucket list of artists or shows to go see this year. You will not regret it. Buy the merch and or thank the artist. They appreciate you as much as you appreciate them.